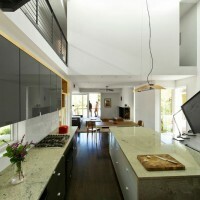 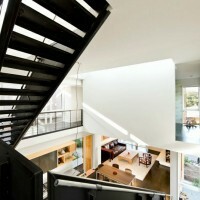 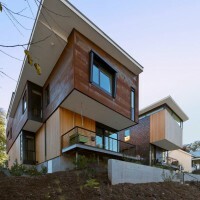 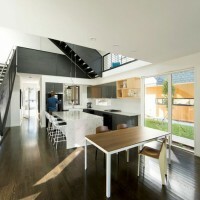 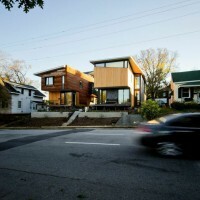 Dasgupta Saucier Residence by The Raleigh Architecture Co. 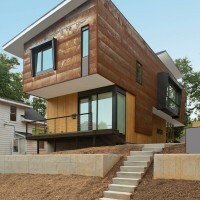 The Raleigh Architecture Co. have recently completed the Dasgupta Saucier Residence in North Carolina. 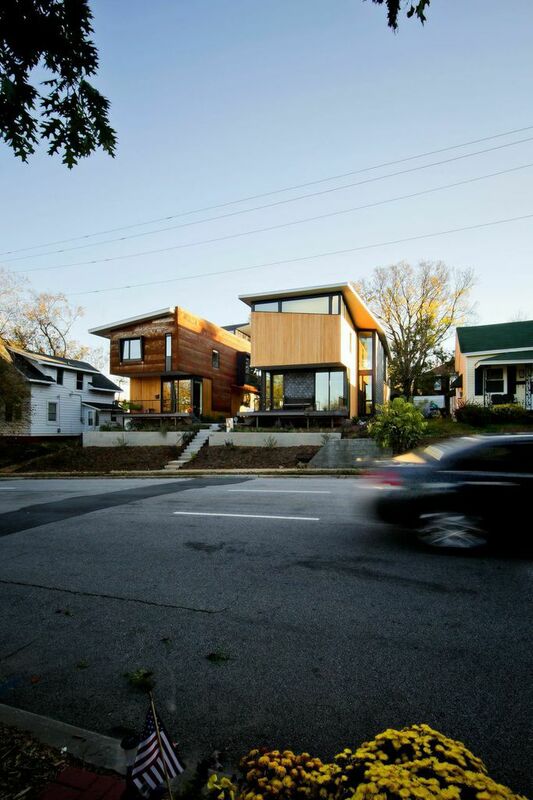 The Dasgupta-Saucier residence is situated on a narrow downtown infill lot in a Raleigh, NC. 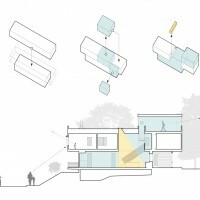 Facing a busy thoroughfare, the house uses natural topography and carefully placed openings to alleviate sound and establish privacy. 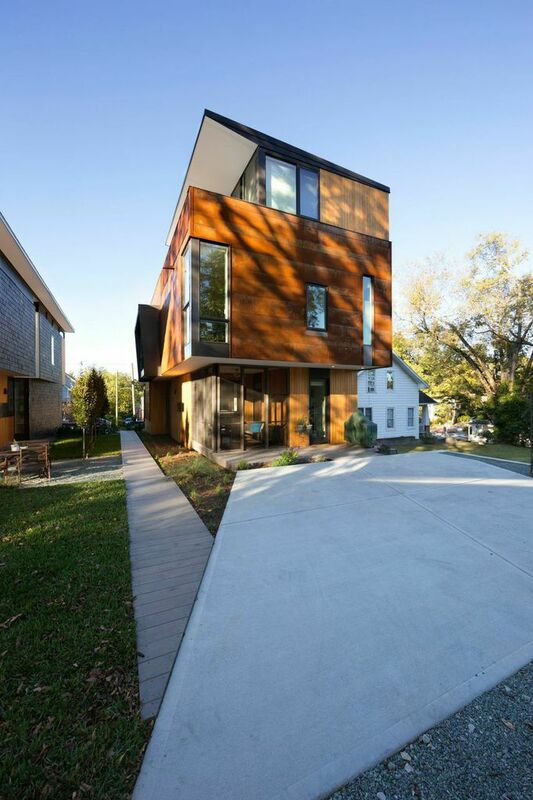 The residence pays homage to its southern roots by creating deep recessed front and rear porches with a cantilevered upper story. 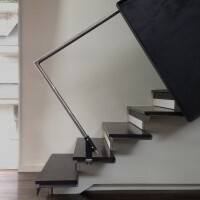 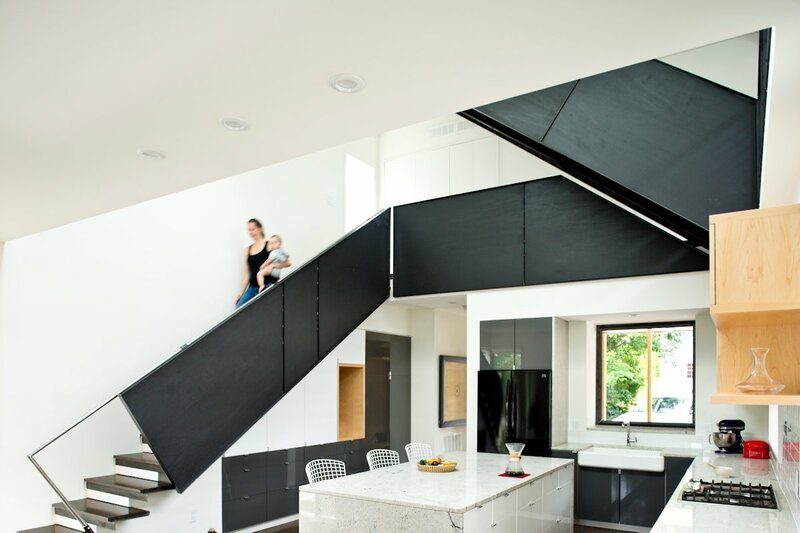 An open central volume provides abundant natural daylight to the lower story while a steel staircase twists upwards, unifying all of the spaces of the house together. 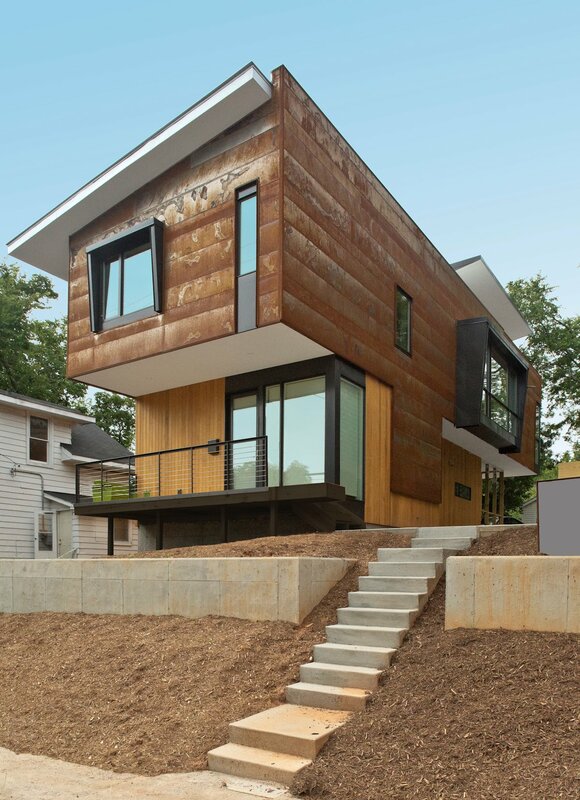 Warm cypress siding roots the residence into the landscape and weathered steel panels protect the private upper story. 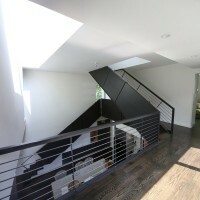 A second floor level of private bedrooms is stacked on an open lower level of living areas. 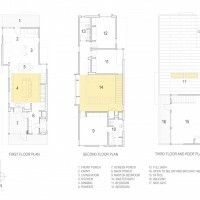 The second floor “bar” is split, pushing the children’s bedrooms north and a master suite south. 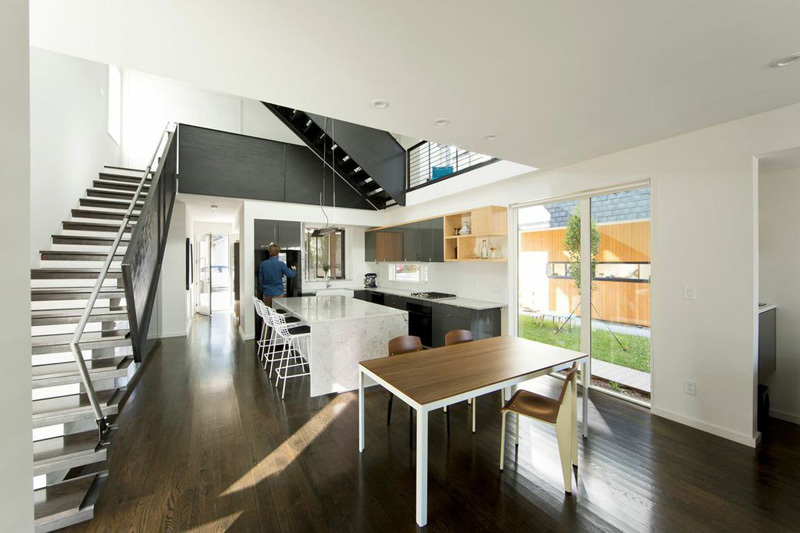 This simple shift creates a covered front and rear porch while simultaneously providing a double height kitchen space in the center for a new family passionate about the culture of cooking. 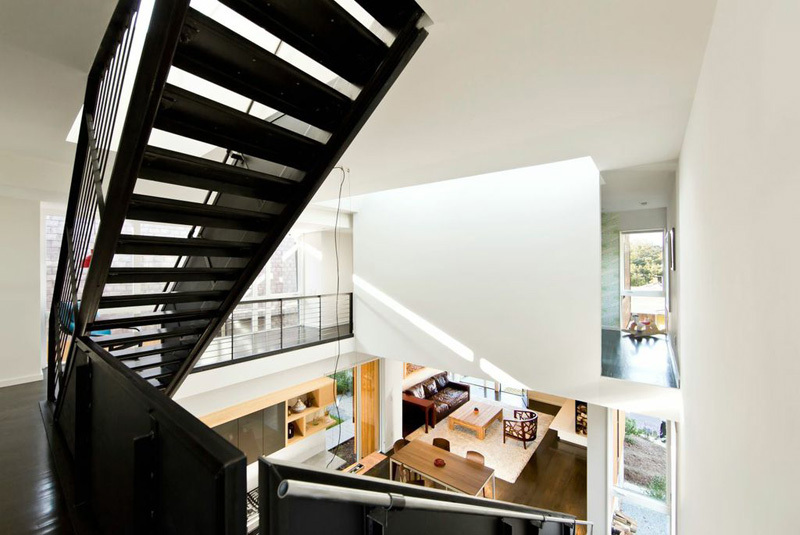 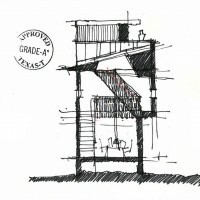 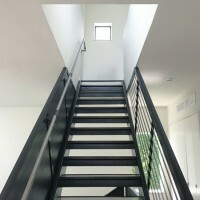 A wrapping steel staircase leads upwards to a working office for each of the clients, while a private terrace on the third floor links the house to its landscape and provides views to downtown. 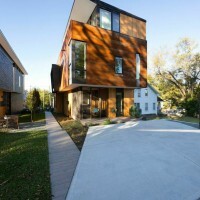 The residence and a neighboring home share a landscaped courtyard that is shielded from the busy street, providing a space for both families to gather. 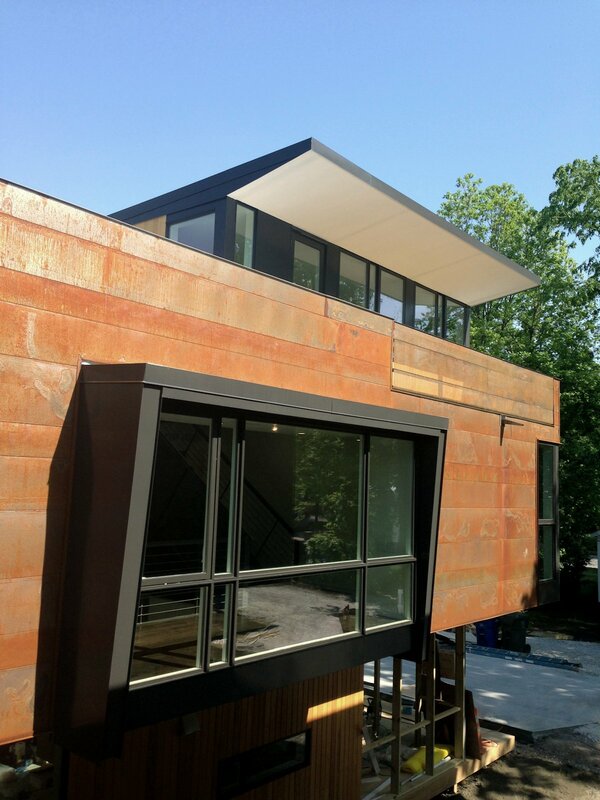 Materials // Roof: Standing seam galvanized metal & TPO roofing. 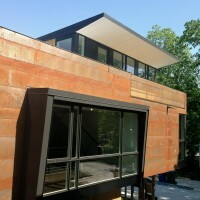 Siding: Cor-ten steel panels w/ 100% recycled content, clear finish cypress (locally sourced). 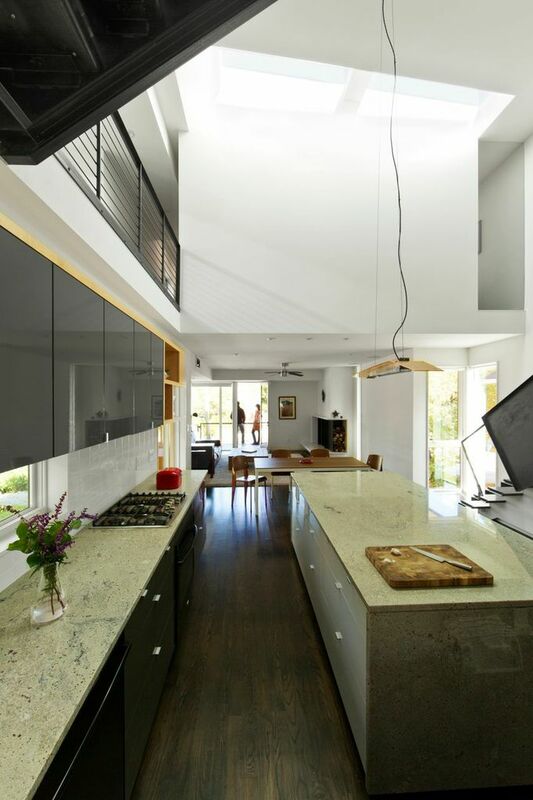 Systems: Geothermal & mini-split HVAC system, instant hot water heater w/ recirculation loop. 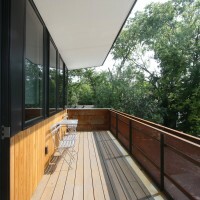 Windows: Aluminum clad wood windows. 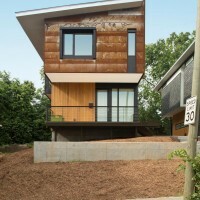 Architect: The Raleigh Architecture Co.
General Contractor: The Raleigh Construction Co.